Planning your shopping trip to the commissary or exchange isn’t always easy, especially considering how busy life can be when you’re stationed at Fort Hood in Killeen, Texas, or any other Army post. Fortunately for military shoppers worldwide, there’s MyMilitarySavings.com, where you can find the best deals, coupons, and more all on a single, user-friendly online platform. We proudly offer constantly updated coupons and savings information from many different sources, including the Defense Commissary Agency (DeCA), the Army and Air Force Exchange Service (AAFES), and others. When you’re planning out your next shopping trip to your local commissary or exchange, you’ll also be able to take advantage of our helpful “My Shopping List” tool, which allows you to create a printable list as you search for discounts, and you can even take the list with you on your smartphone. For further assistance with planning your visit, we’ll also give you weekly access to the Coupon Connexion and Price Connexion through our weekly newsletter for information on the latest commissary and exchange specials before you ever leave your home. 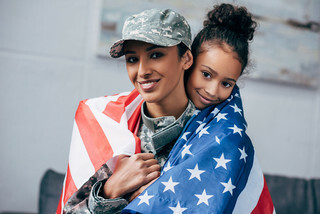 If you’d like to find out more about how we can help you save at the Fort Hood commissary and exchange in Killeen, TX, enroll for your free account at MyMilitarySavings.com today.